Lawn service included! New kitchen with soft close drawers, lazy susan, spice rack, large stainless sink/new faucet. Microwave, oven, refrigerator and dishwasher included! Beautiful hardwood floors throughout except tiled baths. 3 bedrooms + office/extra family room. Baths have also been updated. Almost new HVAC and 3 year old roof. Large fenced backyard, double carport. 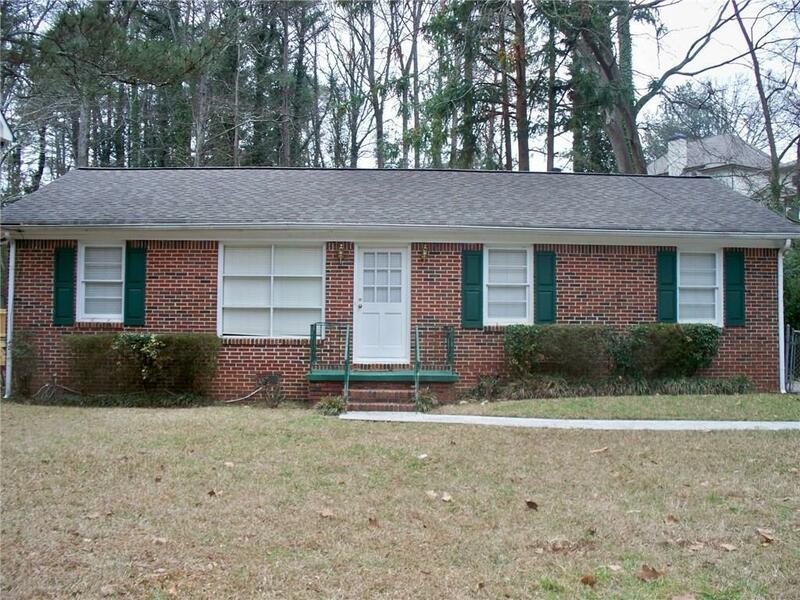 Walk to shops on Dresden and close to new shopping grocery stores on Peachtree and Brookhaven Marta Station. Pets on case by case basis. Freshly painted, ceiling fans and 1 inch blinds throughout. Directions: North On Peachtree From Lenox Square And Phipps. Pass Kroger And North Druid Hills. Rt On Dresden At Light. Rt On Wayland Cir. Home On Left Last New Construction.